Mazda CX-5 Review 2019 | What Car? So, you want an SUV. You’ve thought about a Nissan Qashqai or a Seat Ateca and you like their chunky styling and cheap running costs, but they’re just a little on the small side. What do you buy? Well, unless you can stretch to an Audi Q5 or Land Rover Discovery Sport, you'll probably find yourself looking at cars such as the Mazda CX-5, Honda CR-V, Peugeot 5008 and Skoda Kodiaq. Unlike those three similar-priced rivals, the Mazda CX-5 isn't available with seven seats. However, it's still a very practical family car with some clever tricks up its sleeve to take the stress out of daily life. What's more, the CX-5 appears to be really good value for money, especially when you factor in how much equipment it comes with as standard. The 2.0 petrol model is the cheapest and most popular, but, if you do lots of miles, you definitely shouldn't rule out the more frugal 2.2 diesels. As you might expect, options include four-wheel drive and an automatic gearbox. 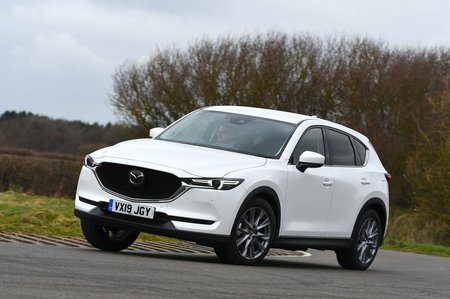 Over the next few pages, we'll tell you what the Mazda CX-5 is like to drive compared with its key rivals, along with how it stacks up for space, interior quality and reliability. And is it really such great value as it first appears? Read on to find out. 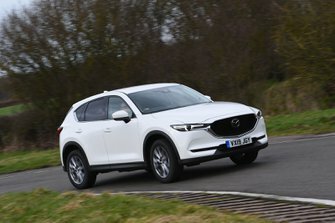 And remember, if you decide you want to buy a CX-5, or indeed any other new car, make sure you check our our latest deals to find out how much you could save on the brochure price.